I’m a little bit behind. I realize – today is Ocho de Mayo and I’m late to the game with a salsa & taco recipe. But the way I see it – every day can be taco day. 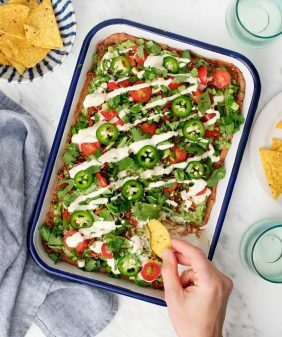 Aside from avocado smashed on toast, “stuff in a tortilla,” is my next go-to meal. I came up with this recipe a little bit by accident. A few weeks ago, I was in Chicago visiting my family, cooking with whatever was around my mom’s kitchen. On that particular day: a few tomatoes, an avocado, some onions, etc… Halfway through chopping all of these salsa components, I realized I had no jalapeño. Now, I’ve been living in Texas long enough to know that salsa is not salsa without some sort of hot pepper. So I searched for the next spicy thing and found sambal oelek. 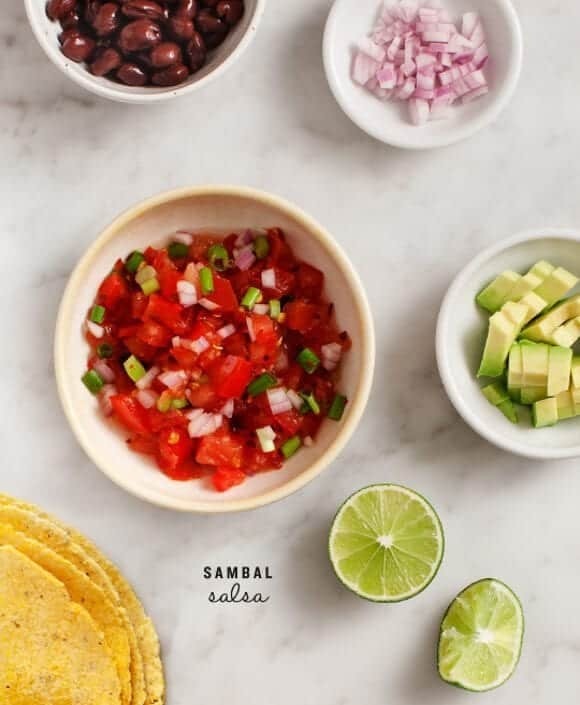 I would have never thought to pair sambal with salsa, but it totally did the trick (plus it just sounds fun). If you’re not familiar with it, it’s a chile garlic paste similar to sriracha. (In fact, you could use sriracha here if that’s what you have). I made this salsa again other night with some lovely local(ish) tomatoes from Marfa. 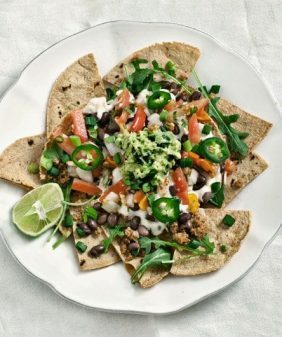 To make it a meal, I scooped it on top of sprouted corn tortillas with black beans and a little bit of crumbly cheese. Simple and delicious. Mix all salsa ingredients together. Let it sit for at least 15 minutes for the flavors to come together. Taste and adjust seasonings. Mix in chopped avocado just before serving. (taste & adjust again). Assemble tacos with black beans, salsa, and crumbly cheese (if using). Serve with extra limes. You can find sambal in the asian section of most grocery stores. 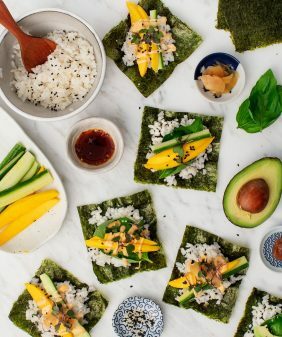 Pictured are sprouted corn tortillas, which are vegan and gluten free. If you're gf, check the labels of your tortillas, not all corn tortillas are gluten free. It looks so delicious! 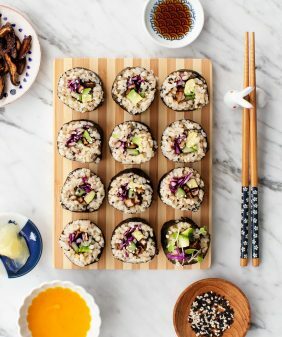 I love your blog and the fact that you’re posting a lot of glutenfree recipes since I have a glutenfree blog myself. Totally with you on this one! I just posted an agua fresca recipe, so it’s a little late, but still always good, just like tacos! I’ve got to find this nearby and try it! Love sriracha, so this sounds amazing! I’m too tickled that I’m finding a lot of Mexican inspired recipes which is my favorite. 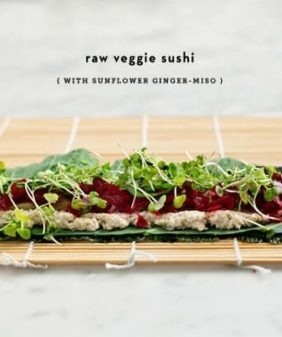 This may be my next Meatless Monday recipe. It is never too late for tacos! I like to celebrate Cinco De Mayo all year round, at least that is my excuse for eating Mexican food at least once a week. I’ve never had Sambal before, but I will have to try it because I despise “jalapeno hands”, especially when you forget for a second that you have them and then it turns into “jalapeno eyes”! You’re so right, sambal chili paste makes perfect sense, but I wouldn’t have thought of it! Great idea. And yes, it’s a Texas thing (and California probably, too) to put everything in a taco. 😉 I’m originally from Austin, so I know what you’re talking about. I could easily have tacos everyday. i love these tacos and would have never guessed to use sambal olek this way. Yay! No more painful jalapeño hands! Gorgeous photos! Yum! I might try this with Huy Fong chili garlic sauce instead! (I love my Sriracha, but sometimes I need a break). Good call! This is brilliant! I always have that in the fridge too. Ocho de Mayo- you kill me! 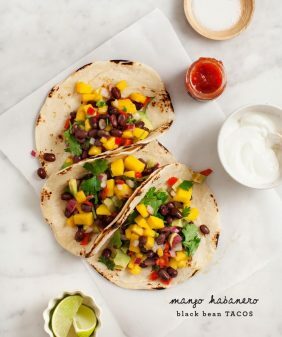 These have got me in a serious mood for tacos- I know what I’m making next! Taco a la sirracha. 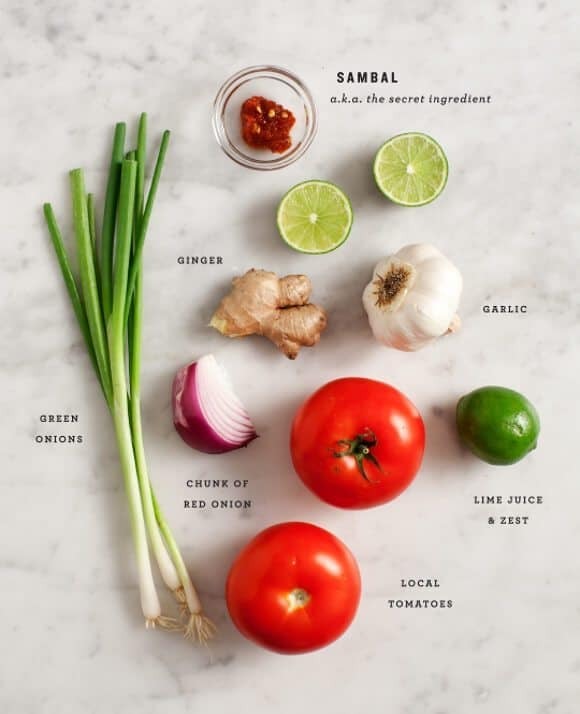 Love the idea of using Sambal Oelek for salsa… we love the stuff and always have some around. Now to just wait for some decent tomatoes. Not going to lie, before I finished reading, I was like, “Where the HECK did she find local tomatoes in Chicago in May? !” LOL. That would have been magic. jeanine!! sambal salsa is brill! i have a similar trick. when all i have is an avocado, i’ll smash it up, top it with some siracha, and call it guacamole. its real… real good!!! i love the sprouted corn tortillas, why are they so much more excellent than regular corn tortillas? where do you find yours? It is never too late for tacos, since its cinco de mayo people will surely love with this recipe, thank you for this, I will share this with my friends. This is probably my most favorite recipe ever. Everyone I’ve made it for loved it.